1) The beginning of the Stone Age (3,400,000+ years ago). Technological innovation began here with the development of stone tools. Tool use laid the first cornerstone for civilization. There could be no civilization without tools, and civilization, like its technological underpinning, is a double-edged blade cutting both ways: beneficial and harmful. 2) The use of words and names (the origin of language). This helped us ‘nail down’ reality in a more vivid sense of past and future (200,000 years to 2,000,000+ years ago). With this, we could more effectively plan scenarios and manipulate events to favor our desires (i.e., innate need + thought = desire). 3) The harnessing of fire (400,000+ years ago). This had a major impact upon stone tool manufacture, and allowed humans to migrate beyond the temperate zone. 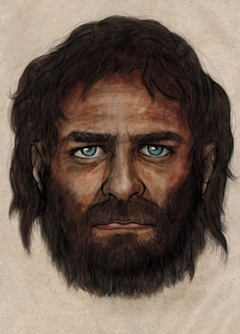 4) Earliest known evidence of modern-human behavior (160,000+ years ago) This evidence includes reddish pigment probably used for body coloring or other symbolic acts. 5) The development of agriculture (12,000 years ago). This was the gateway where humanity left the small egalitarian hunter-gatherer tribal life style and entered hierarchical civilization models required to manage large populations necessary for agriculture. 6) The development of metallurgy (6,000 BC). This was an incremental technological step on the way to the profoundly more practical and economic development of iron metallurgy. 7) The development of writing (6,000 BC). This allowed us to further ‘nail down’ reality, plan more effectively, and better organize our civilized existence — bureaucracy requires writing! 8) The Iron Age (1200 BC). This paved the way for the real game changer in civilization. All the current world religions sprang up following the cultural changes and social disruptions that iron brought about. 9) Paper and the printing press (1000 – 1450 AD). This made it possible to bring great many more people into a written language, and from there to wide spread education. 10) The Electric Age (1800+ AD). There is no Wikipedia entry for this age yet, but I see it as the most important pivotal moment since the development of agriculture, if not the harnessing of fire. Indeed, electricity is a form of ‘fire’ in a manner of speaking (i.e., ‘redox’ reactions in which atoms have their oxidation state changed involve the transfer of electrons). You could say we’ve harnessed fire twice, back then and recently. It is a profound game changer; harnessing electricity has opened the floodgates of innovation! Electricity unleashes all realms of science, technology, medicine, transportation, and communication. Just try to imagine life with NO electricity; it would launch humanity into a Neo Dark Ages. We are just at the cusp of this revolution, so much so that we’ve not coined a word for it as such. This ebb and flow of fortune is what makes life interesting. In any case, time marches on and we move inextricably with it, which the Science News article “Written in bone” helps confirm. I’ll include a few key excerpts below. Briefly, this research shows in subtle ways how we don’t want to give up what we have to recover what we had. In typical fashion, we want it both ways; we want the best of the past and the best of the present. Alas, the benefits and detriments of an era are intertwined. You can’t mix and match from different eras, although that doesn’t stop us from wishing or trying, does it? The bottom line: Instinct drives us, and all life, to seek to have it both ways. Life strives to get as much as it can, yet pay as little for it as possible. You could say that life embodies a ‘liberal’ drive constrained by a ‘conservative’ Mother Nature. I’d say our two party political system mirrors this yang – yin dynamic. About 11,000 years ago, agriculture took hold in the Middle East and began spreading. The prominent view has been that agriculture was an idea that went viral, infecting people who already lived in Europe. When European hunter-gatherers heard about this great new idea from the East, they gave up their nomadic existence to embrace the farming life and settled down to raise grain and domesticated animals. Once the nomads-turned-farmers were comfortably ensconced in villages, population sizes boomed, eventually giving rise to the modern cities and towns of Europe. In that view, the idea spread but the people who adopted it were the same ones who had always been in Europe. The researchers (Wolfgang Haak, a molecular archaeologist and colleagues) wanted to know if these early farmers were really the direct ancestors of present-day Europeans, as had long been suspected. Turns out they weren’t. The difference appeared in a mitochondrial haplotype known as N1a. About 0.2 percent of modern Europeans carry haplotype N1a. “But when we dug up those farmers, it was 25 percent,” Haak says. “There was a real wow factor.” Today’s Central Europeans, according to the finding reported in Science, are not direct descendants of the people who tilled their land 7,500 years ago. The data clearly show that early farmers were different people from the foragers who hunted wild animals and gathered plants for millennia. The data show that the hunter-gatherers were a relatively homogenous population, at least as far as mitochondrial types go. They dominated Europe for more than two millennia — even after cereal grains first appeared in central Germany. But then, in a demographic and genetic triumph, early farmers distinguished by a type of pottery decorated with lines and known as the Linear Band ceramics, began to take over. Those farmers walked out of the Middle East, through what is now Turkey, and into Europe carrying a veritable alphabet soup of mitochondrial haplotypes. The hunter-gatherer lines dwindled and by 7,500 years ago, fewer than 3 percent of skeletons in central Germany bore the U haplotype. Each time a new pottery technology appeared in central Germany, Haak and his colleagues found a new mitochondrial haplotype, suggesting that people were migrating and bringing their pottery and ideas with them. Those groups didn’t seem to mingle with the people who were there before them. A similar population separation was going on at what is now known as the Blätterhöhle archaeological site in Hagen, Germany. People who made different types of pottery in ancient Europe also tended to be genetically different from each other. Pottery technologies spread as people migrated around the continent, DNA data suggest. People bearing the mitochondrial signature of early hunter-gatherers were the first to bury their dead in the cave between 11,200 and 10,600 years ago, the researchers found. Those people had a diet composed primarily of wild animals. About 5,000 years later, other genetically similar hunter-gatherers used the cave, but they were freshwater fish eaters, isotope ratios revealed. At the same time that those fish-eating foragers inhabited the region, people bearing a different genetic signature, mitochondrial type H, as well as a chemical mark associated with eating domestic herbivores — such as cows and goats — were also using the cave as a burial site. The results suggest that the hunter-gatherers and farmers led parallel lives for roughly 2,000 years, probably interacting with each other culturally. However, each group maintained its own genetic identity and diet. That separation didn’t last forever. The researchers examined complete genomes of seven Stone Age hunter-gatherers and four farmers from Sweden. If the two groups had interbred, the scientists should have seen traces in this comprehensive picture of their DNA. But the mingling went only one way; the seal hunters, who had no farmer DNA, appear to have kept their genetic distance from their agricultural neighbors. Today, there’s no one in Europe quite like the hunter-gatherers. But, says Jakobsson, “parts of their genomes live on all across Europe.” Eventually, pure foragers died off or assimilated into farming families. Those who had interbred with the farmers passed along the hunter-gatherer genetic legacy. The amount of hunter-gatherer heritage in modern Europeans varies geographically, with people in the north claiming much more forager ancestry. People in Southern Europe have more farmer and fewer hunter-gatherer ancestors, Jakobsson’s group found.